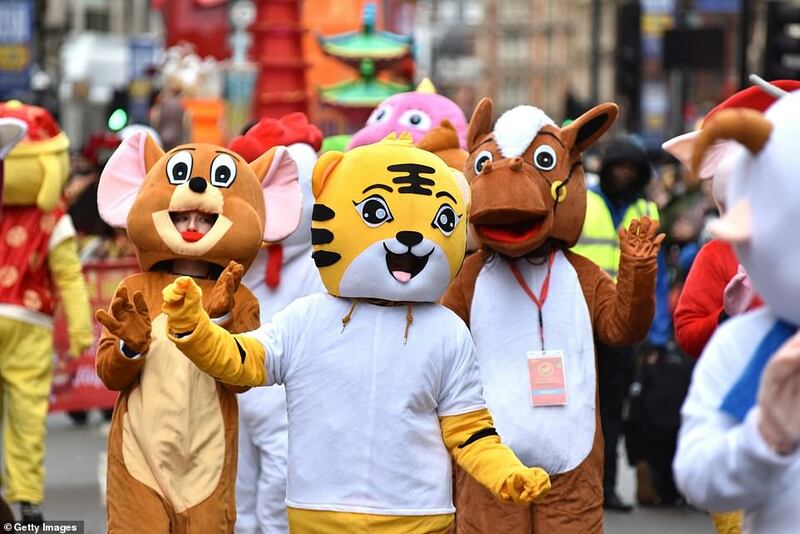 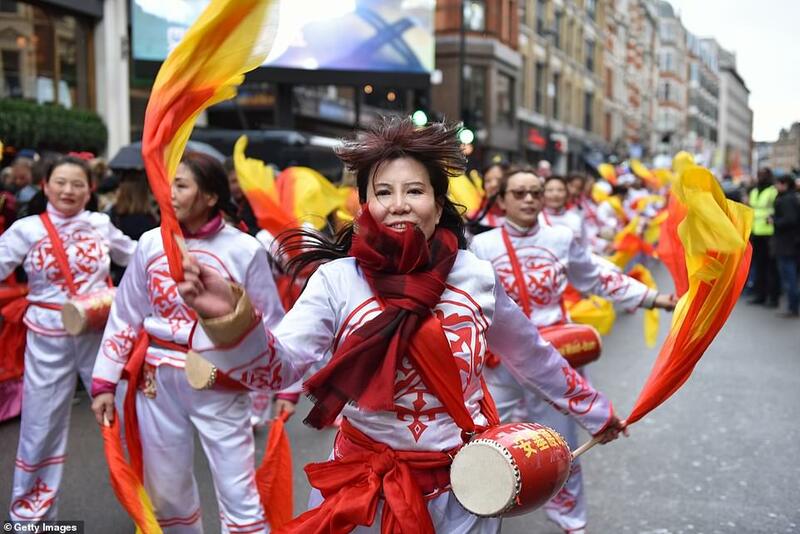 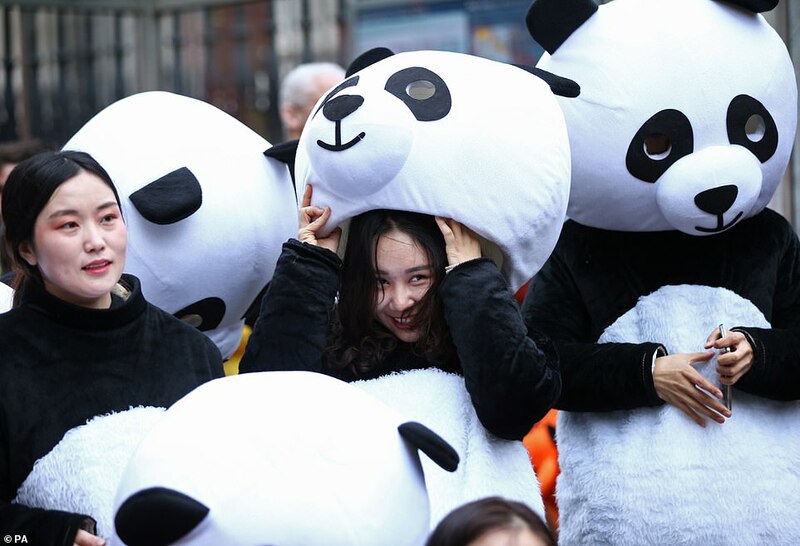 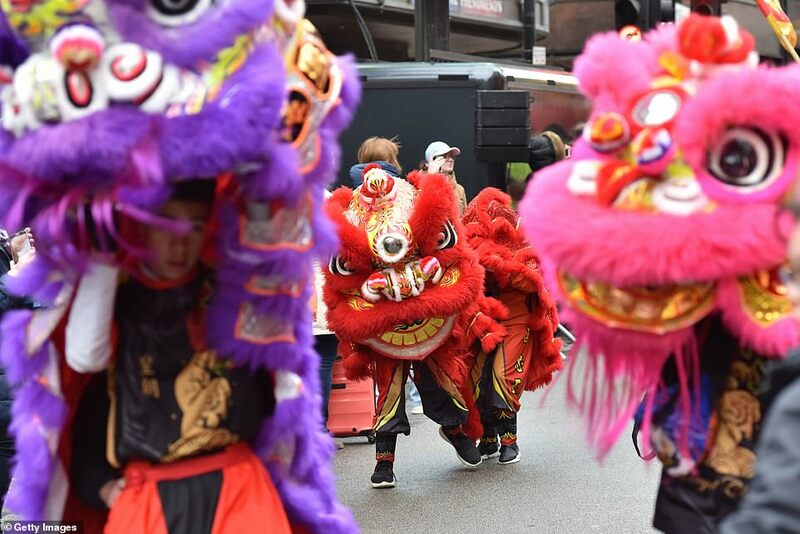 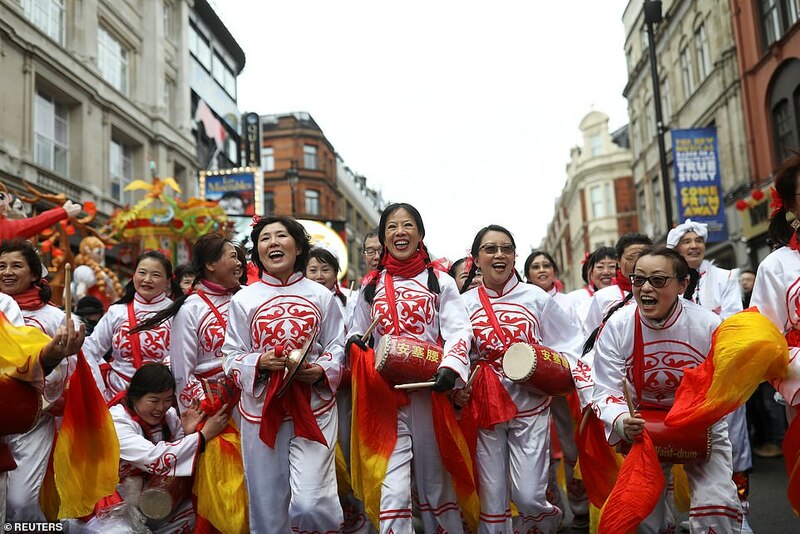 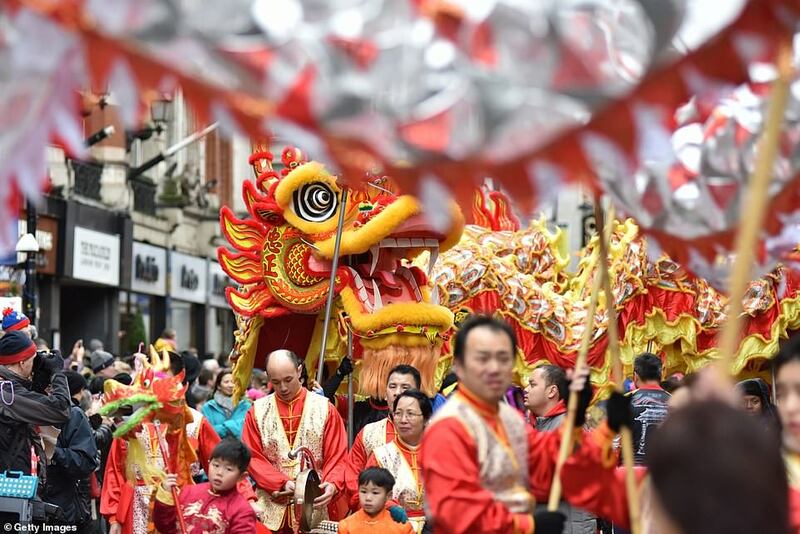 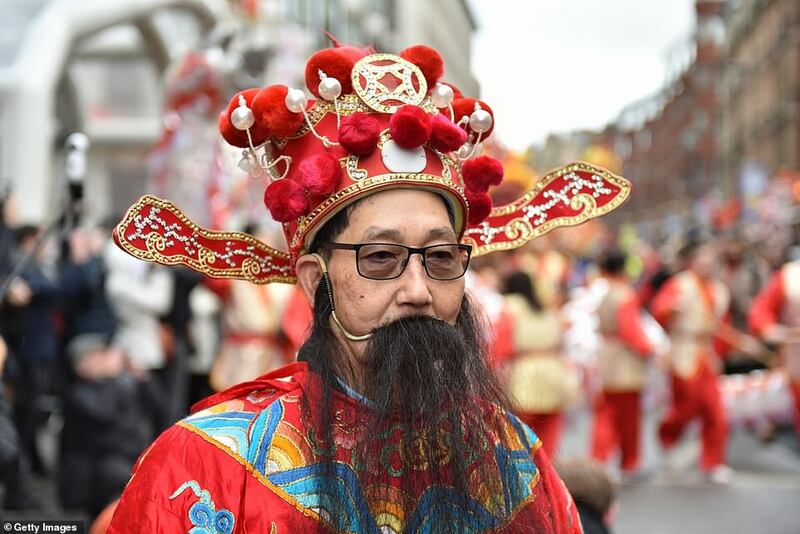 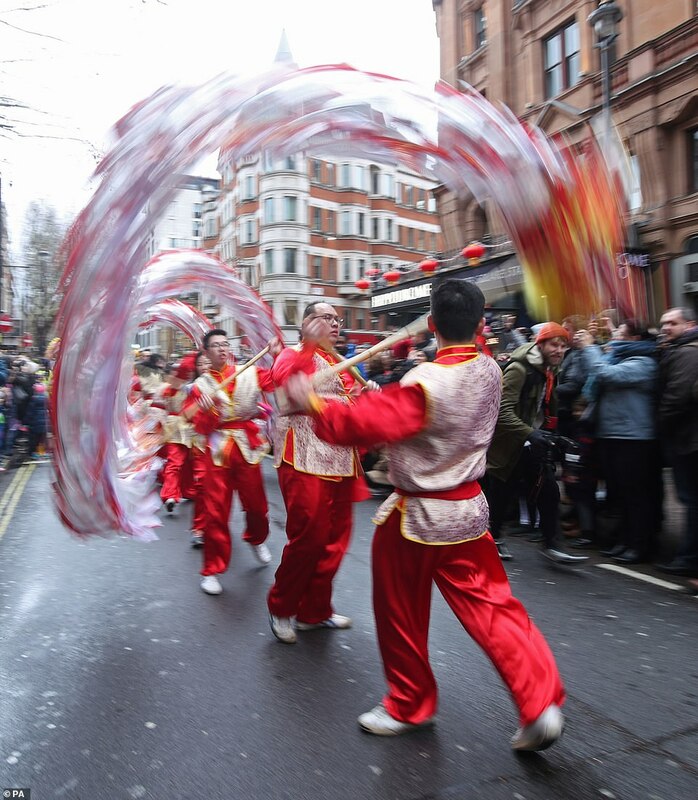 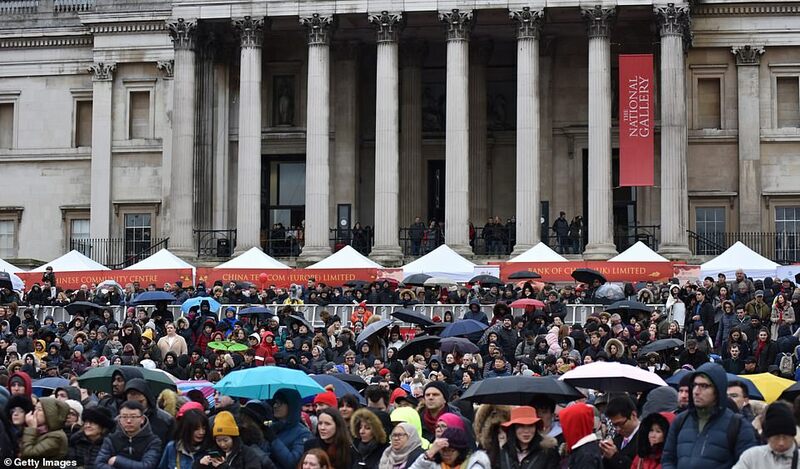 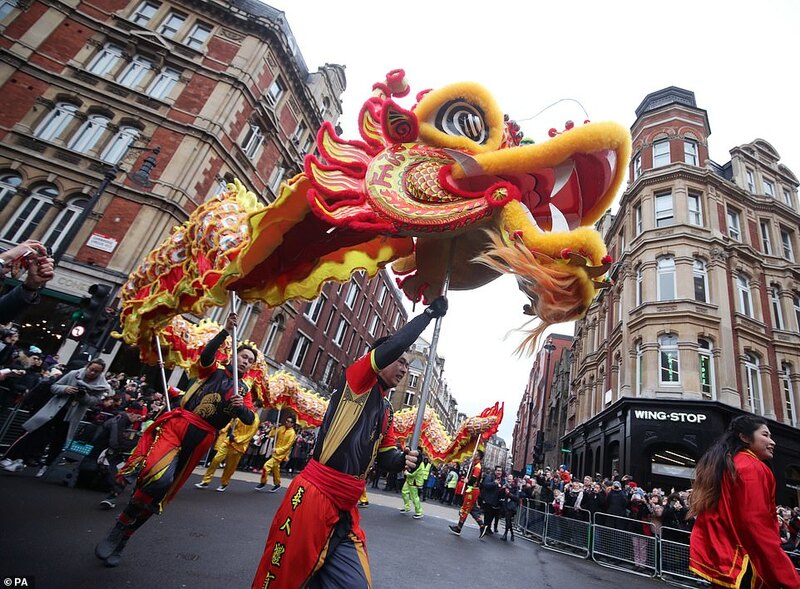 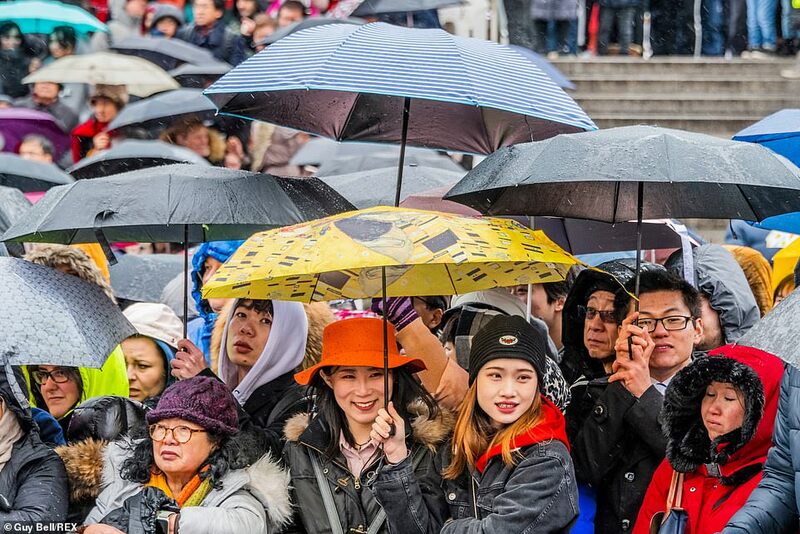 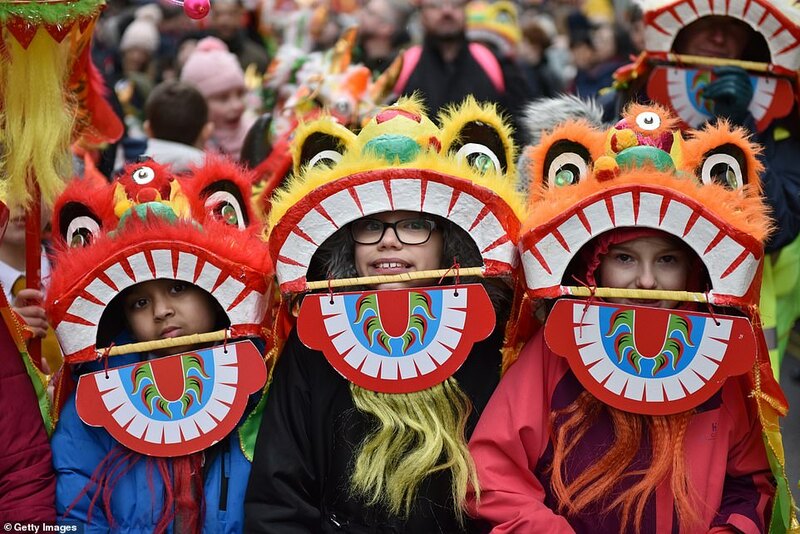 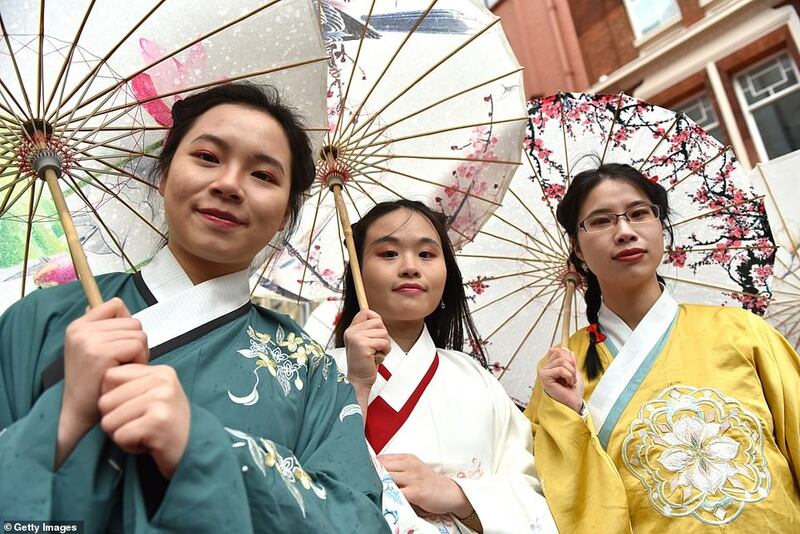 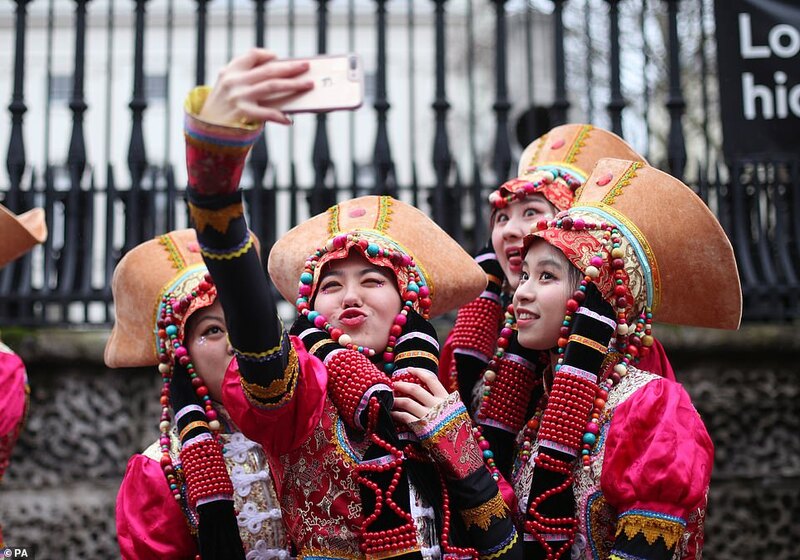 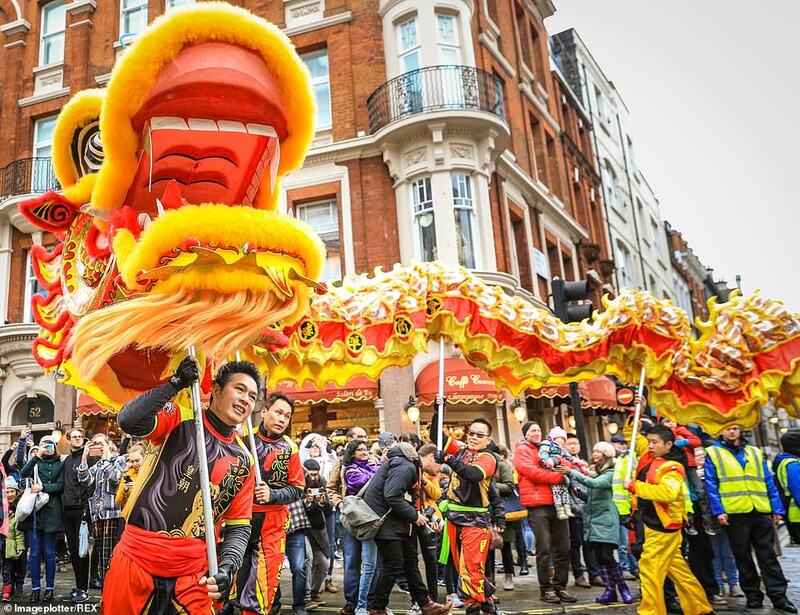 Thousands of people lined the streets of the West End of London today to watch a vibrant parade make its way to Chinatown. 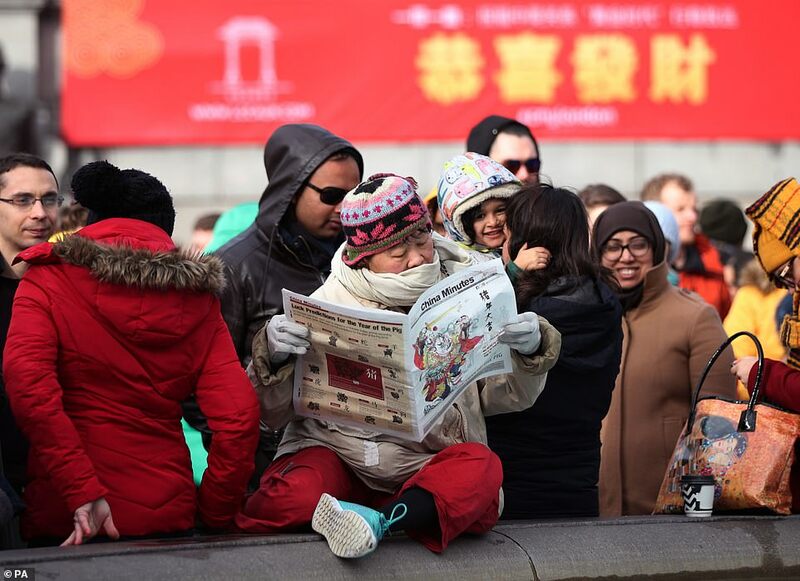 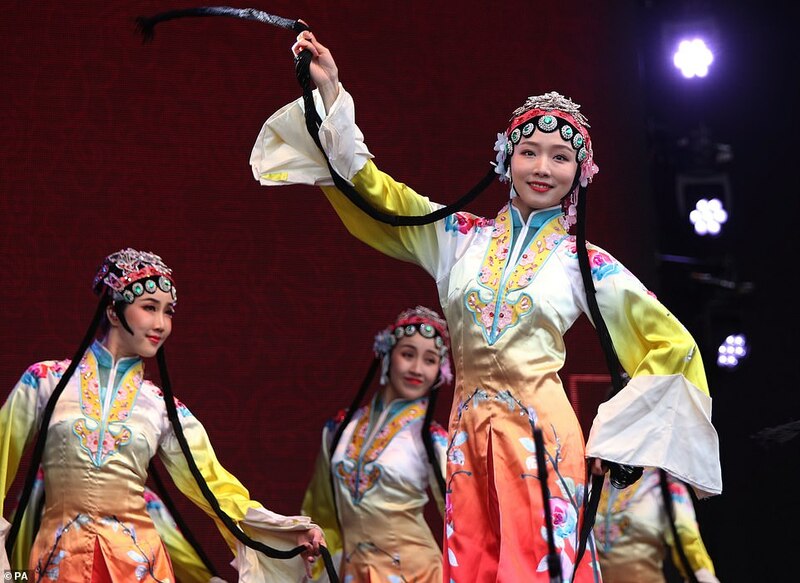 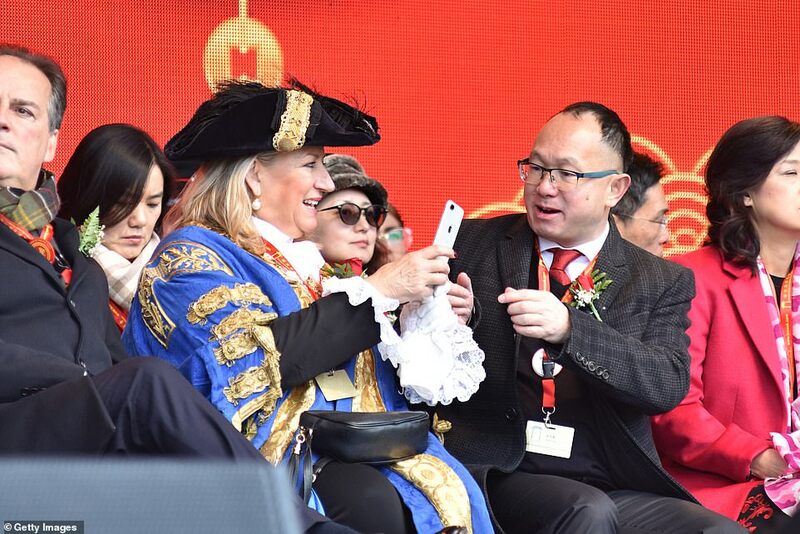 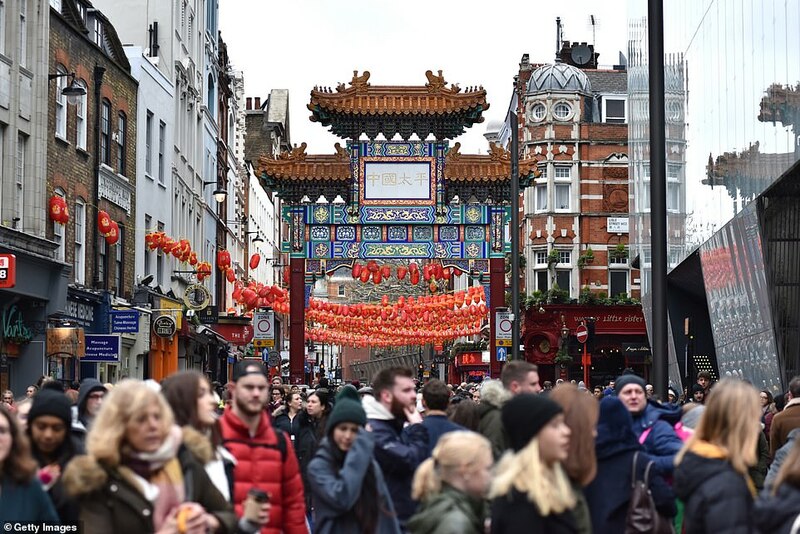 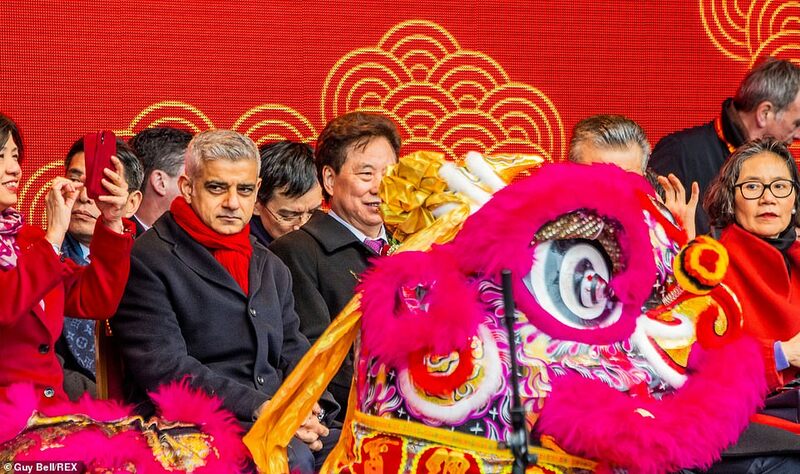 ‘Londoners of Chinese origin have been contributing towards our city for decades, contributing economically, socially and culturally,’ he said. 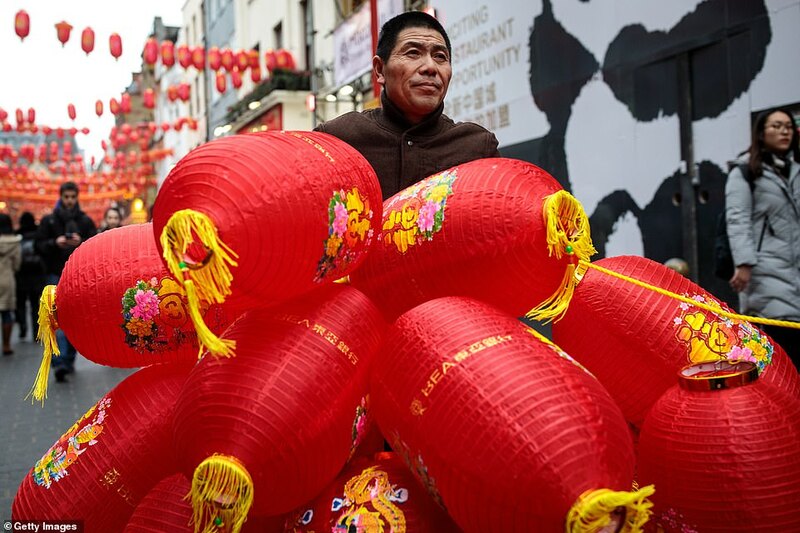 The new year is a two-week festival which began officially on 5th February and this year celebrates the of the Pig.